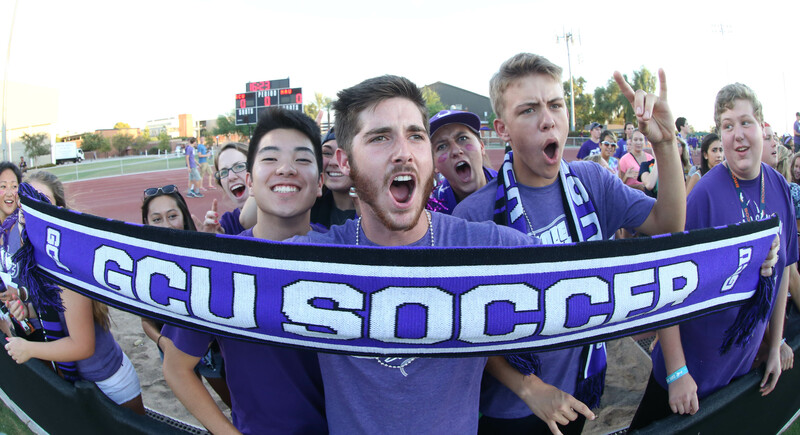 The face of soccer in the Valley will change dramatically Friday night when Grand Canyon University officially opens its gleaming new facility, GCU Stadium, for its men’s soccer season opener against Central Florida. The grand-opening game is scheduled for 7 p.m. at the intimate new facility on the west side of campus, which seats 3,000 fans and has 10-foot berms on three sides that will bring the capacity to 6,000. But a lot will be happening before the match. Burgers, tacos, cotton candy and push-pops will be sold along Lopes Way, and the Havocs, GCU’s student cheering section, will lead the pregame March to the Match, which starts at 6:30 on Lopes Way. 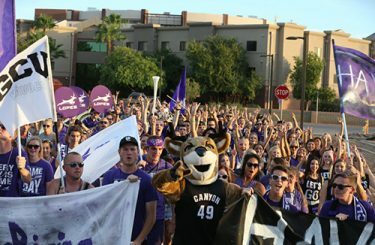 Students will march through campus to the stadium, and the Havocs will storm the field to amp up the celebration. They will have their own platform in the stadium to get wild, crazy and loud during the match. At halftime, teams of children will have an opportunity to play a scrimmage. Everyone in attendance will get a GCU soccer T-shirt, which will give them food discounts at future games, and there will be a giant fireworks display at the end of the night. Schellas Hyndman, GCU men’s soccer coach, knows the significance of hosting the first of many soccer games at the new stadium. To put it in perspective, he uses the word “relevant” to describe the impact of soccer in the surrounding GCU community. 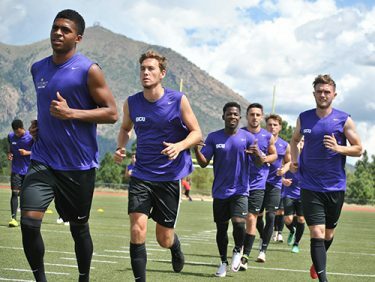 The men’s soccer team returns after preparing in Sedona for the new season. Hyndman, who was introduced as GCU’s coach last year, has an unquenchable passion for the sport. 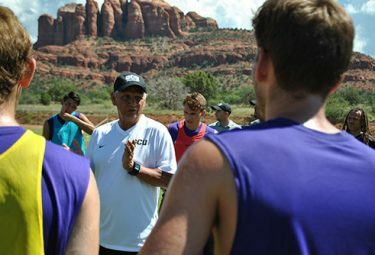 Men’s soccer coach Schellas Hyndman is excited about what GCU Stadium means to his program. “Soccer is going to matter here,” he said. Niki Jackson: Appeared in 16 games last year, started 12 and ranked second on the team in goals (nine) and fifth in the Western Athletic Conference in shots per game. Alexandros “Alex” Halis: The senior midfielder has played in 13 games in 2015 and tied for first on the team with four assists and tied for third with six points. He also ranked fifth in the WAC in assists per game. This will be the first of nine men’s home matches at GCU Stadium this season. The second match is scheduled for 7 p.m. Thursday, Sept. 15, against IUPUI. The GCU’s women’s team will play its home opener against UTEP at 1 p.m. Sunday.